Please contact office@eliotchurch.org if you wish to add an event or would like to suggest a correction. Remember to hit the refresh button to be sure you have the latest information. 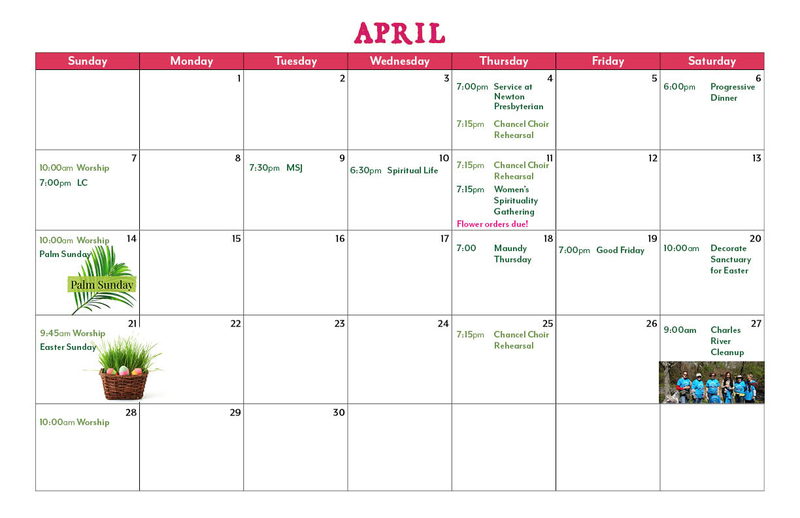 ​For a PDF of April calendar click here.